An old viral video has had people questioning whether or not cellphones should be banned at weddings? Download the podcast below and listen as KZN weighs in on whether or not cellphones should be banned at weddings. I was browsing online, and I found this image that someone had posted on Facebook. 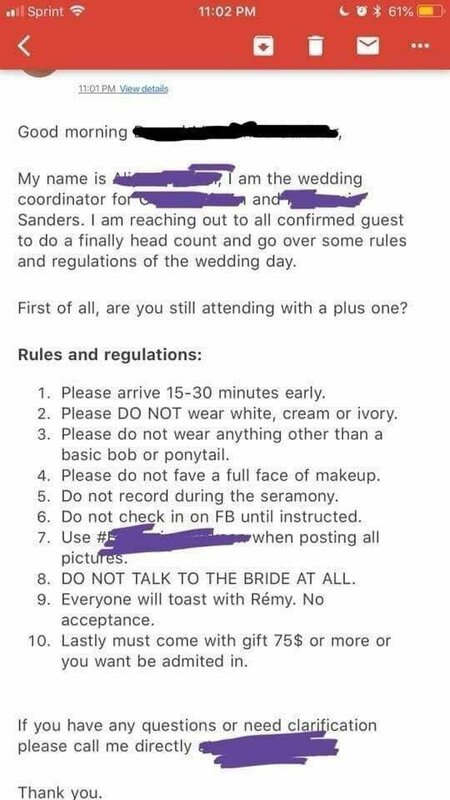 Apparently, it’s a list of rules that a couple is imposing on the guests for their wedding day. Some of them seem really strict, such as what hairstyle to rock but some of them are understandable, such as not wearing white. But the rule that really that stuck out for me was that there shouldn’t be any cellphones during the wedding. At first glance, you think well, why not, you want people to share their memories of your big day. But what if the memory is bad? Apparently, the couple came up with the rule after seeing this video of a woman who was drunk and dancing and ended up injuring the bride. Now, not only is their big day ruined, the bride has to deal with millions of people around the world laughing at her. What also often happens is that guests will share pictures of you even if it’s a private ceremony and might not catch you looking your best. What do you think? 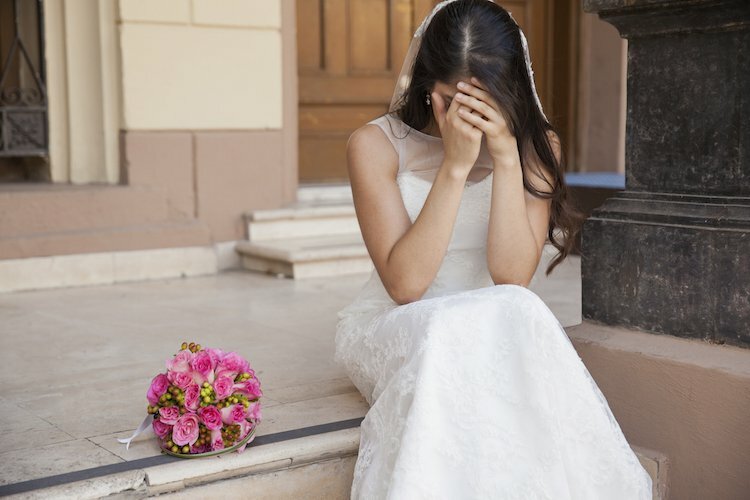 Should cellphones be banned at weddings?